Abiogenesis is the natural process by which life arises from non-living matter, such as simple organic compounds. Frankenstein, also called "The Modern Prometheus", was published in 1818 by Mary Shelley. In its introduction and preface is direct mention of Erasmus Darwin who believed in spontaneous generation, which is the incredible and wrong belief in ongoing spontaneous generation of certain forms of life from non-living matter. There is of course a very strong link between the rise of Darwinism in the 19th century and the birth of modern-day science fiction. Later emerged very anti-social Darwinism in which the same Victorian aristocracy promoted laissez-faire capitalism by which they tried to justify the economic inequality imposed on the world in favor of themselves. Darwinism is strongly linked to politically motivated junk science and science fiction. The process in which life forms arise from similar life forms. It asserts that living things can only be produced by another living thing, and not by a non-living thing. It is now a common notion that any living thing can only come from another living thing, and no cellular life has ever been observed to arise from non-living matter. For example, a spider lays eggs that will develop into spiders. We're looking at a very narrow slice of the whole problem... We assume we have the chemical building blocks of life: the question we're looking at is what do we need to do to make these chemicals get together and work like a cell? ... One of the most interesting problems in chemistry. The transition from chemistry to biology. In order to understand how living organisms are built from inanimate matter, therefore, it is crucial to know how all of the chemical bonds that hold atoms together in molecules are formed. ... Twenty types of amino acids are found commonly in proteins, each with a different side chain attached to the a-carbon atom. The same 20 amino acids occur over and over again in all proteins, whether from bacteria, plants, or animals. How this precise set of 20 amino acids came to be chosen is one of the mysteries surrounding the evolution of life. ... The chemical versatility that the 20 standard amino acids provide is vitally important to the function of proteins. ... It is critical to life that the polymer chain is not assembled at random from these subunits; instead the subunits are added in a particular order, or sequence. In order to explain the origin of first life one must explain the coming into existence of a cell, the basic unit of life. The cell is a prime example of an incredibly complex machine which contains biomolecules like proteins and incredibly complex genetic code on RNA and DNA. Incredibly complex genetic information is useless without some kind of incredibly complex translation and copying machinery. 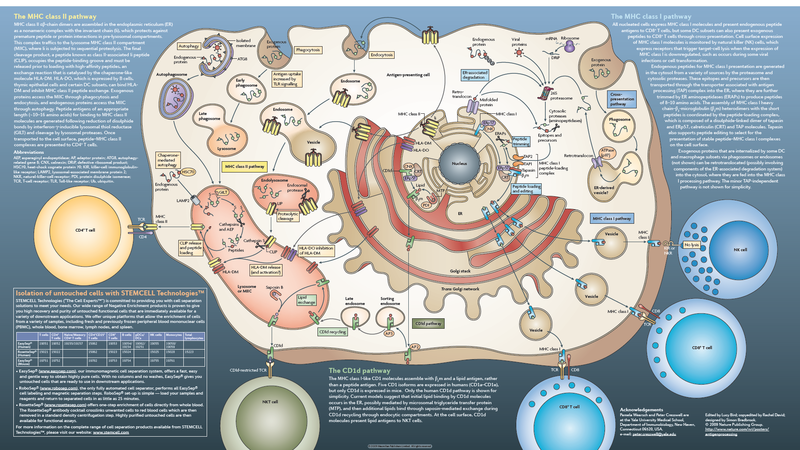 So a cell is irreducibly complex which means that it won't function if any of its many complex subparts is not present and in its proper specific order. For explaining the origin of life scientists must also explain the origin of specified information contained in each life form's unique DNA and RNA. Just like the whole universe, information is subject to entropy. See information entropy. When no information exists it is impossible for information to arise naturally in a mindless world. Information is more than just matter, it contains a message encoded by other parts of the cell. Like a language has a sender and a receiver who both understand the message and act according to it. Another irreducibly complex factor of life. On top of that meaningful information itself is not materially based. See also Semiotics. All communication and data processing, as is also done in the cell, is achieved through the use of symbols. When a computer processes code it has to decode it in order to convert the code into a corresponding action. The complexity of the simplest known type of cell is so great that it is impossible to accept that such an object could have been thrown together suddenly by some kind of freakish, vastly improbable, event. Such an occurrence would be indistinguishable from a miracle. When I realized that it was far more reasonable to reject the chance hypothesis for the origin of functional genes and proteins, I concluded that chance was not a terribly promising candidate for "best explanation" of the DNA enigma. Chance was certainly not a more reasonable explanation than its negation, namely, that something other than chance had been at work in the origin of biological information. The most primitive cells may require at least several hundred different specific biological macromolecules. How such already quite complex structures may have come together, remains a mystery to me. The possibility of the existence of a Creator, of God, represents to me a satisfactory solution to this problem. The more we know about the specified complexity of life by means of true science, the greater the miracle of life becomes. Because of this fact scientists like Fred Hoyle and Chandra Wickramasinghe wrote "it becomes sensible to think that the favorable properties of physics on which life depends are in every respect deliberate". They went on to mention higher intelligences as the most likely cause. Some people now even talk about panspermia. Steven A. Benner said that "we went looking on Mars because the origins-of-life options on Earth just aren't looking very good". The problems associated with the RNA world hypothesis are well known. In the following I discuss some of these difficulties, some of the alternative hypotheses that have been proposed, and some of the problems with these alternative models. From a biosynthetic — as well as, arguably, evolutionary — perspective, DNA is a modified RNA, and so the chicken-and-egg dilemma of "which came first?" boils down to a choice between RNA and protein. This is not just a question of cause and effect, but also one of statistical likelihood, as the chance of two such different types of macromolecule arising simultaneously would appear unlikely. In the very first cell (assuming that there was a "first" cell) what came first - the DNA or the protein? Of course, the protein that reads the DNA is itself coded for by the DNA. So, the protein could not be there first since its code or order is contained in the DNA that it decodes. Proteins would have to decode themselves before they could exist. So obviously, without the protein there first, the DNA would never be read and the protein would never be made. Likewise, the DNA could not have been there first since DNA is made and maintained by the proteins of the cell. Some popular theories about abiogenesis suggest that RNA probably evolved first and then DNA. But this doesn't remove the problem. RNA still has to be decoded by very specific proteins that are themselves coded for by the information contained in the RNA. ... This really is quite a problem to try and explain. After all, what selective advantage would be gained for non-thinking atoms and molecules to form a living thing? They really gain nothing from this process so why would a mindless non-directed Nature select to bring life into existence? Sean D. Pitman - The Chicken or the Egg, DNA or Protein? Because the step from dead matter to a living cell is inexplainable by means of naturalistic processes evolutionists invent all kinds of theories to seemingly bridge that gap. Their latest attempt is the so-called RNA world hypothesis. But all they do is shift the problem. No matter how one looks at it, life is irreducibly complex. Evolutionists just can't get their heads around it. It is often said that all the conditions for the first production of a living organism are now present, which could ever have been present. But if (& oh what a big if) we could conceive in some warm little pond with all sorts of ammonia & phosphoric salts, light, heat, electricity etcetera present, that a protein compound was chemically formed, ready to undergo still more complex changes, at the present day such matter would be instantly devoured, or absorbed, which would not have been the case before living creatures were formed. Over the past sixty years, dedicated and skillful scientists have devoted much effort and ink to the origin of life, with remarkably little to show for it. Judging by the volume of literature, both experimental and theoretical, the inquiry has thrived prodigiously. But unlike more conventional fields of biological research, the study of life's origins has failed to generate a coherent and persuasive framework that gives meaning to the growing heap of data and speculation; and this suggests that we may still be missing some essential insight. Darwin's own writings reveal much wishful thinking based on a preconceived belief. Not surprisingly Charles Darwin based much of his theory on the writings of his granddad Erasmus Darwin who is strongly linked to the rise of science fiction during the Victorian aristocratic era. This man is now hailed by evolutionists and atheists around the world who see him as the one who saved their faith. Now they still use blind chance as an explanation for incredible miracles and even admit they are extremely improbable by means of naturalistic processes. Naturalism drives such people to that extreme. But as their fellow evolutionitwit Carl Sagan famously said, "the truth may be puzzling. It may take some work to grapple with. It may be counterintuitive. It may contradict deeply held prejudices. It may not be consonant with what we desperately want to be true. But our preferences do not determine what's true". According to science we should follow the evidence where it leads. These evolutionists obviously don't do that.